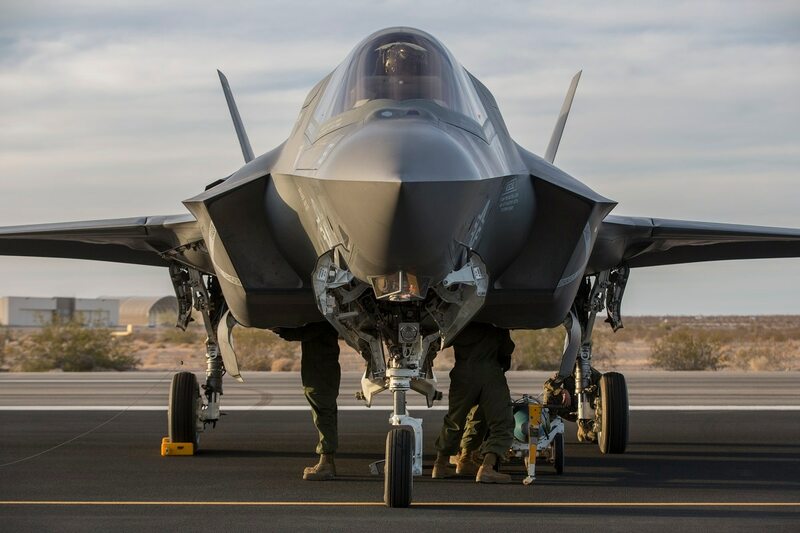 WASHINGTON — The U.S. Defense Department is creating a new position to help formulate its software strategy and ensure it keeps pace with commercial advancements — and the most important resposiblity will be overseeing the F-35 joint strike fighter’s agile software strategy. During a Friday roundtable with reporters, Ellen Lord, the undersecretary of defense for acquisition and sustainment, announced that she has tapped Jeff Boleng to the newly created position of special assistant for software acquisition. Boleng, currently the acting chief technology officer at Carnegie Mellon University Software Engineering Institute, will start April 16 as a member of Lord’s team. “Jeff Boleng will spend over 90 percent of his time on F-35. He is going to be the individual who is working amongst all of the groups to enable us to bring the right talent onboard,” Lord said. As the F-35 joint program office embarks on a new strategy called Continuous Capability Development and Delivery, or C2D2, which involves introducing agile software development, Lord wants to ensure that both the JPO and Lockheed have employees with the right training to execute the effort and that they can attract new professionals with additional software expertise. “This is something that [Lockheed CEO] Marillyn Hewson and I have talked about,” she said. “Lockheed Martin has some excellent software capability throughout the corporation. My expectation is that they’re going to leverage that on the F-35. And as we within the Department of Defense really increase our capability for software development focused on C2D2, our expectation is that Lockheed Martin will do the exact same thing. Boleng, a former cyberspace operations officer and software engineer who served more than 20 years with the Air Force, last held the position of teaching computer science at the Air Force Academy before moving to the private sector. At Carnegie Mellon, he is responsible for spearheading the institutes research and development portfolio, which includes software development, data analytics and cyber security activities in support of the Defense Department. Boleng will also interface with Pentagon organizations charged with ramping up the department’s software prowess such as Defense Digital Services, a small group of former private-sector tech professionals who led the department’s “Hack the Pentagon” events and have conducted a few assessments of F-35 software. That starts with a meeting today between Lord, Boleng and a Defense Innovation Board group centered on software acquisition, which has been embedded both with the joint program office and Lockheed Martin, Lord said.